Hello stampers. Welcome to Mrs. Linoln's Inkin'. 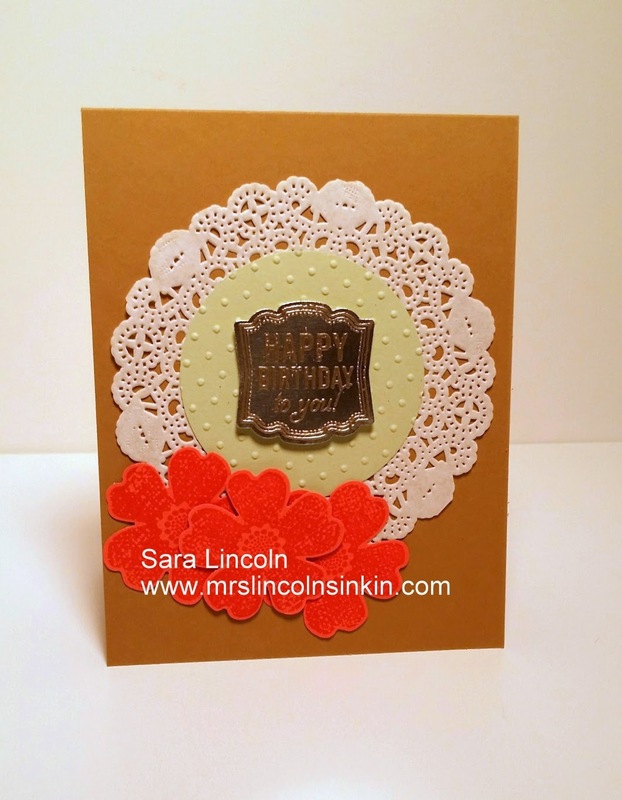 Today's card is using the adorable Doilies and the Silver Foil Sheets. But the neat thing is... the Foil Sheet looks as though it is 3D. Oh I love it!! The word that I am trying to say is escaping me but it reminds me of... melted metal or something. I just love it. 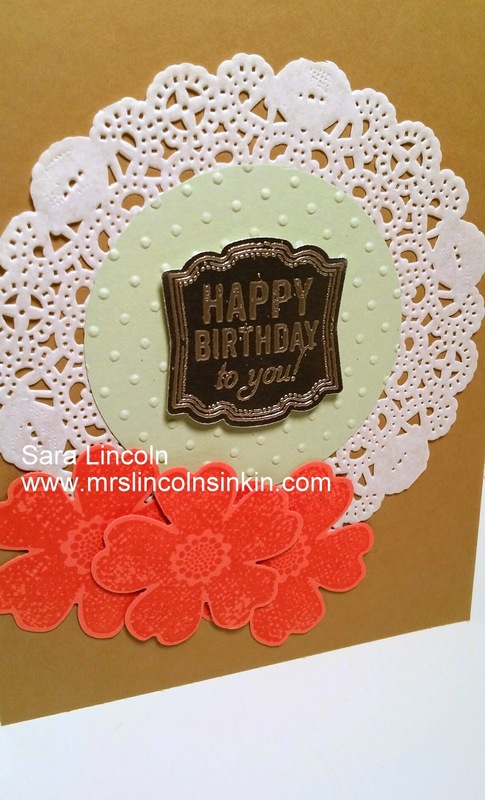 And the only thing that you need to acheive this look is VersaMark Ink, Silver Embossing Powder and a Heat Tool. I just love this technique. The item that I am showcasing today is the Silver (and Gold) Foil Paper. Two items that are on the retiring list.